Harbourtown Sound - Book Us! 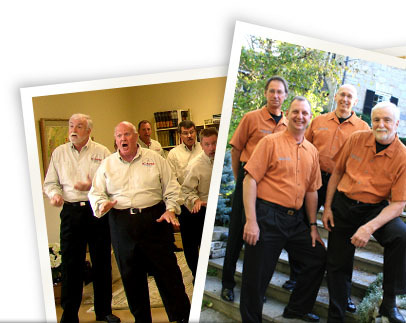 Harbourtown Sound is an award-winning, professional source of entertainment and education as well as a dedicated supporter of vocal performance and a cappella singing. We are a professional chorus of amateur singers and can provide anything from the beautiful simplicity of a solo singer to the excitement and grandeur of a 90-man chorus, making us the perfect choice for special occasions of any size. make your corporate event more memorable or just want a special day to be that much more special, you'll hit all the right notes with Harbourtown Sound. Or any other time you need to make a day truly unforgettable!